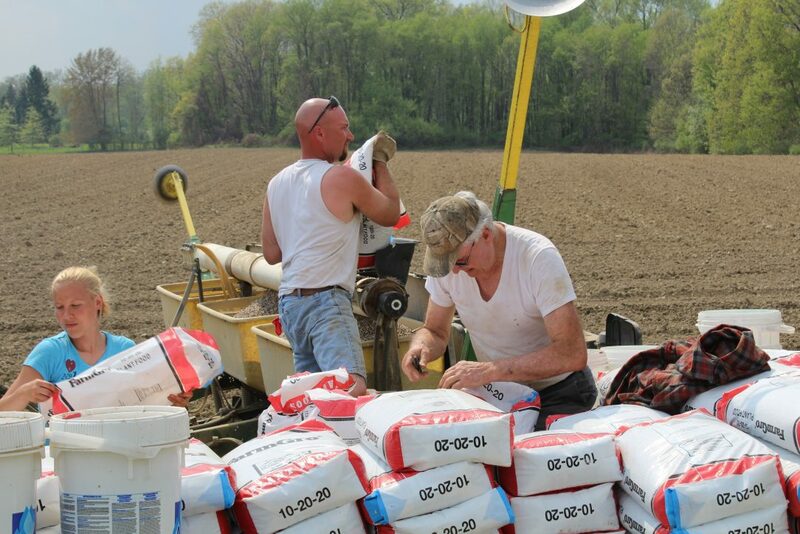 SALEM, Ohio — With tighter margins and constantly evolving pest and disease issues, growers are looking to fine-tune their 2018 seed order. There is no uniform advice when helping farmers make corn and soybean seed purchases. But, the experts agree it’s best for growers to approach their seed purchase holistically. Seed has been the fastest growing expense on American farms over the last 10 years. The average growth rate for seed costs since 2006 is 11.3 percent, which means that farmers who spent an average of $43/acre on seed in 2006 are spending around $118/acre in 2016, reported farmdoc daily, a University of Illinois at Urbana-Champaign digital publication in July 2016. Such rising costs, compounded by low commodity prices and last year’s record crop, puts a spotlight on seed selection. 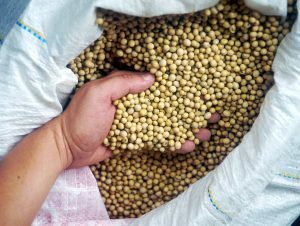 “Farmers get paid based on yield, so that is obviously something to consider,” said Laura Lindsay, Ohio State Extension soybean and small grain production specialist. “But, it is important to consider all factors and do your research. Ohio State has published trials for many years, in many locations. There is so much information available, it is important to take a look,” she added. 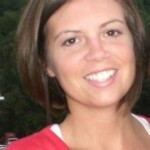 Claire Coombs, Penn State Extension educator agrees, it is important to do your research. “Look at Penn State trial reports. They have details such as yield, standability, resistance and explain each feature of the seed,” she said. Such impartial research is the best place to start. Looking at seed company reports is helpful as well, but Extension reports give unbiased results. There is no one size fits all in seed selection — what your neighbor plants isn’t necessarily the right choice for your field, said Lindsey. “Don’t assume you can pick one variety that will work best for every field on the farm,” Coombs said, who specializes in field and forage crops. Using different types of seed is a way of ensuring farmers against whatever comes their way this season. “There is no way to tell what weather or pests will come your way; using a variety of seeds could be protecting yourself against this year’s problem,” Coombs said. Another benefit of using multiple types of seed is getting to do a bit of your own research, testing yield, standability and disease pressure across an entire field and see what is working or not on your own land, Coombs said. It is common for farmers to buy traits they don’t need because they want to protect themselves from everything possible. But, that is where knowing your field comes in, Coombs said. Knowing your field’s history — previous crops, soil types, history of diseases or pests — will help select the right seeds. “We don’t need to be planting unneeded traits. If we can reduce traits, we can also reduce building up a resistance to those traits,” Coombs said. Falling into the pressure of buying early or in bulk rarely pays, she added. The best seed for your soils is often worth more in terms of yield than any discount. Some soybean diseases have few symptoms and are nearly impossible to detect above ground, said Lindsey. Common issues decreasing yields in Ohio include Phytophthora root rot, stem rot and soybean cyst nematode, which is a parasitic nematode. She recommends having your soil tested, and being sure to take samples from any low-producing areas because they could have hidden issues. 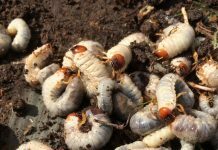 The right seed selection can overcome these parasites. After you do your own research and document the history of your fields, the next step is to talk to your seed representative about problems or concerns in particular fields. Talking to Extension educators and seed representatives can help find the right seeds for your fields. How did the variety perform on the best field? On the worst field? How much did the seed cost? How much fertilizer, insecticide or other inputs did this seed need to reach its yield? Examine the specifics of your farm. What pests and diseases are a risk? What varieties are best for my soil type? Can I get a discount for buying early or in bulk? Do I need genetic traits and/or seed treatment? Could I be using less seed? Source: Farmers Business Network, Seed Selection Playbook; Ohio State Extension, Agronomic Crops Network.